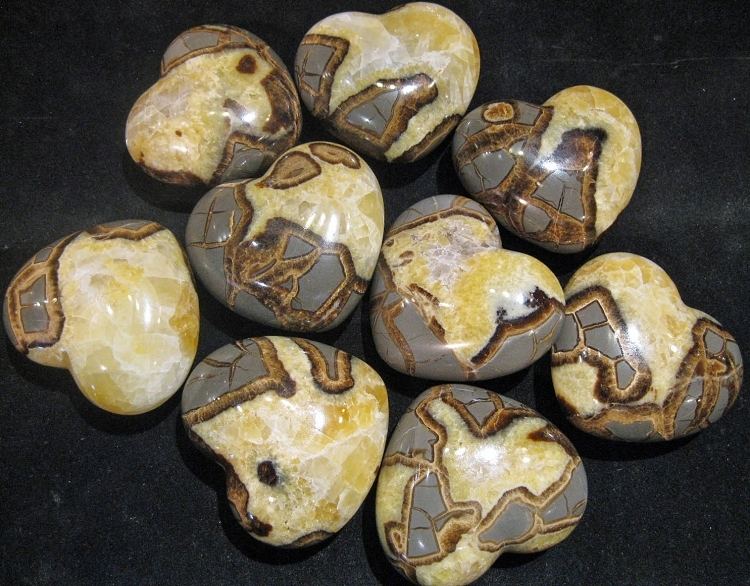 Carved from Septarian nodules, this specimen is a reminder of Utah’s geological history. 50 million years ago when an inland sea covered present-day Utah, mud balls formed and captured traces of ancient marine life. Gray bentonite clay covers the exterior of the mod ball. Inside the nodule, brown aragonite borders separate the bentonite from yellow calcite crystals and fossils. Open crystals make this heart a very special carving. You will receive an item similar to that pictured; each item is unique.